Just found this classic video from the 80's, directed by none other than... James Cameron! 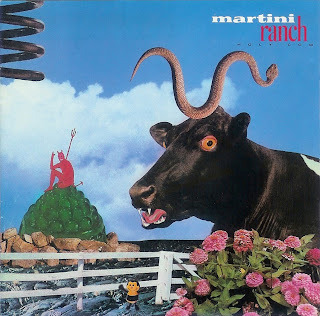 In 1988, Actor Bill Paxton and vocalist/guitarist Andrew Todd Rosenthal formed a short-lived rock duo Martini Ranch. They recorded and released just one album entitled Holy Cow, which included inputs from Devo members Mark Mothersbaugh, Bob Casale and Alan Myers (all of whom contributed to the album's hit "How Can the Labouring Man Find Time For Self-Culture? "), along with Cindy Wilson of the B-52's as a back-up vocalist and actor Judge Reinhold is credited as a whistler on "Reach". The video was directed by James Cameron, director of Terminator & Aliens. It is remarkably, the only music video he ever shot. The video includes cameos from director Kathryn Bigelow, as well as Aliens and Terminator alumni Lance Henriksen, Paul Reiser, Mark Rolston and Jenette Goldstein (from Aliens), Judge Reinhold, and Adrian Pasdar who had appeared in Bigelow's Near Dark) with Paxton, Goldstein and Henriksen.